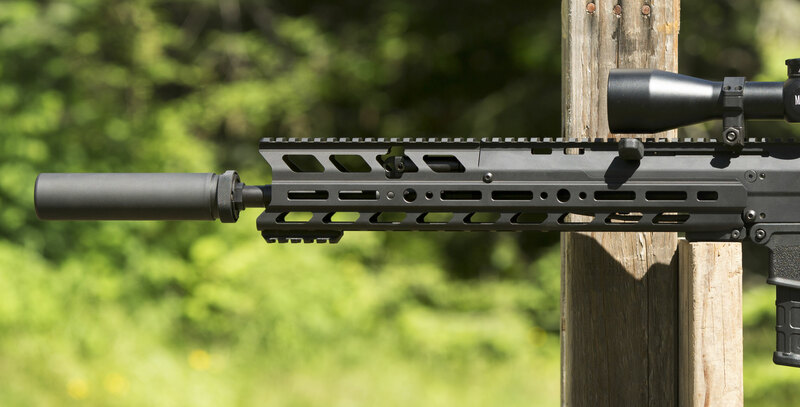 The ACR Precision forend is what you need when you want to build a precision/DMR version of your ACR or if you just like a bit more forend length. 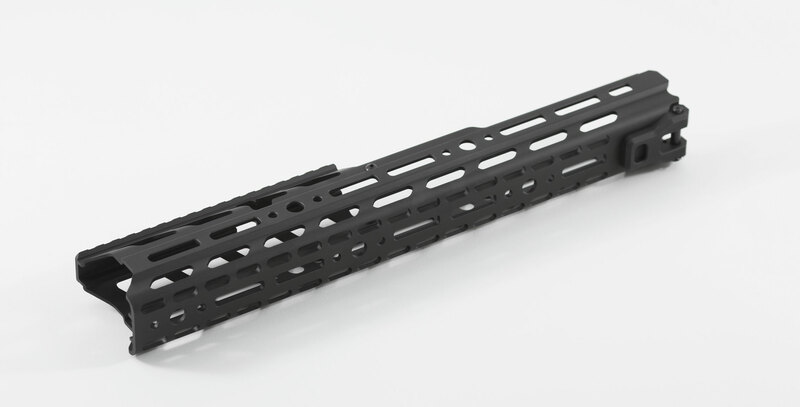 -replaces the standard ACR polymer or short rail forend. 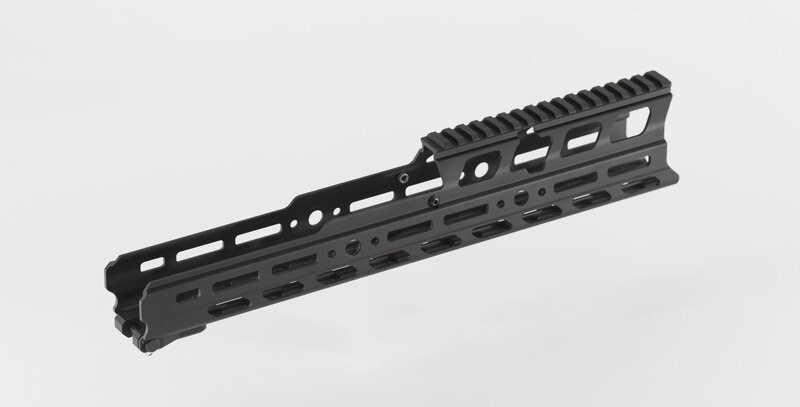 -extended in length ~6.85" over the standard railed handguard which sits flush with the front of the upper receiver. 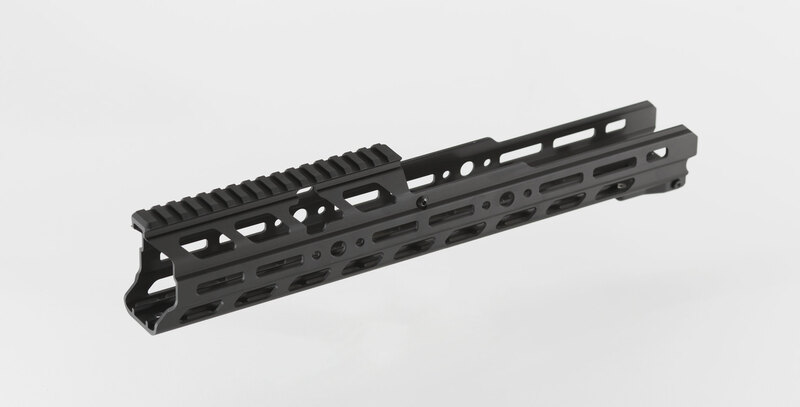 -features a cut-in Picatinny/1913 rail on top with MLok (tm) slots on the side as well as the KRG/MOE L2 hole pattern interspersed. -Access port to change the gas selector. 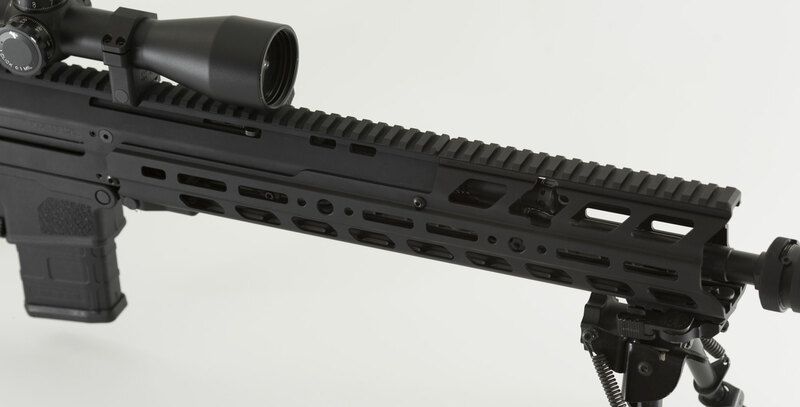 -Forend attaches or removes easily using a cross pin like the standard ACR forends. 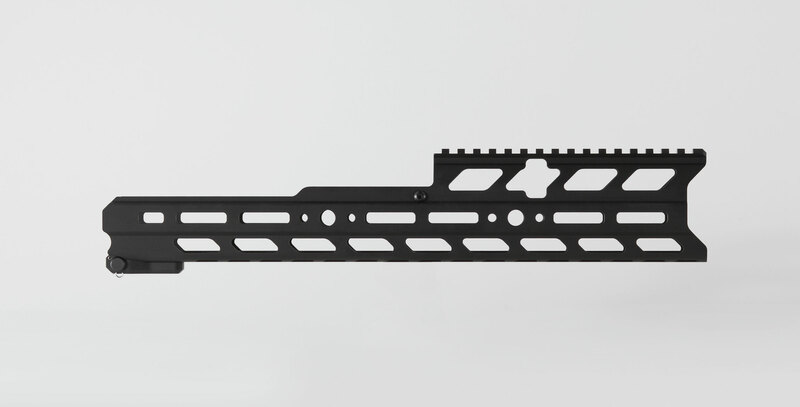 It is comfortable in the hand and light weight and gives you that extra bit of stability on a bipod you need for precision work.